Some people save their bouquets or monogramed napkins from their wedding day, but my Grandpa ate an olive on his big day and kept the pit. After all these years, he’s still got it. 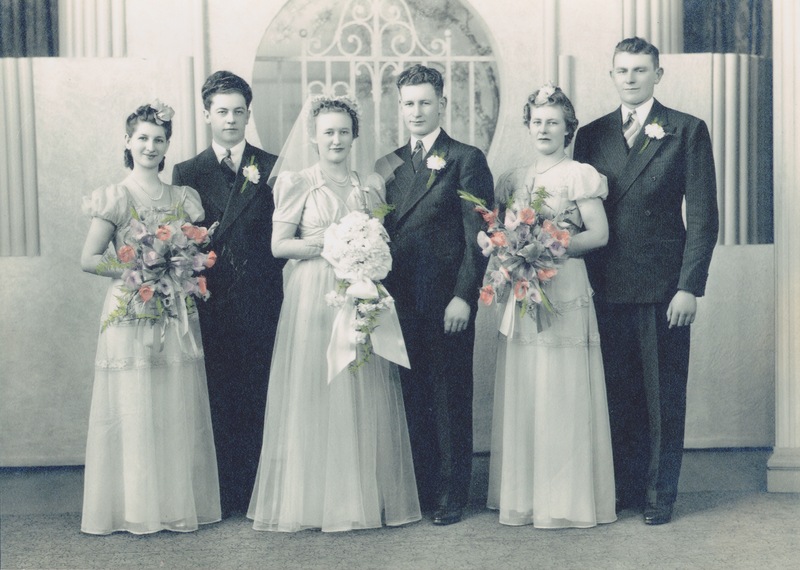 These are my grandparents on their wedding day in April, 1940. 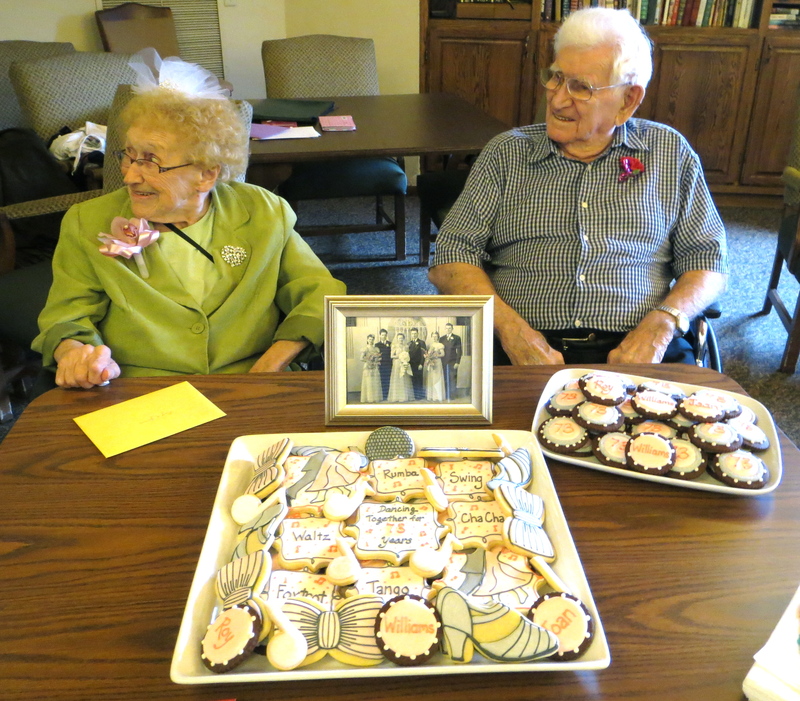 They were next door neighbors as youngsters and just last week, we gathered to celebrate their 73 years together. My Gramps was a semi driver for over 30 years, being on the road for weeks at a time, while Nana was home taking care of the family. Maybe it’s true that absence makes the heart grow fonder? Oh, they have done (and still do) their fair share of bickering. One would wonder how or why they didn’t throw in the towel. But they didn’t. Through all the disagreements, they must have found common ground. One constant they have is their love of big band music and dancing. Nana and Gramps would travel every year to attend a garden party hosted by one of of their favorites, Jack Morgan and the Russ Morgan Orchestra. It was a long weekend of fabulous music, old friends, and of course, lots of dancing. When I was a kid, Sunday mornings at their house, post sleepovers, always had the radio tuned to the old standards. Eating cereal out of Nana’s small, green, depression glass bowl and listening to Glenn Miller in their tiny kitchen will continue to be a cherished memory for me. 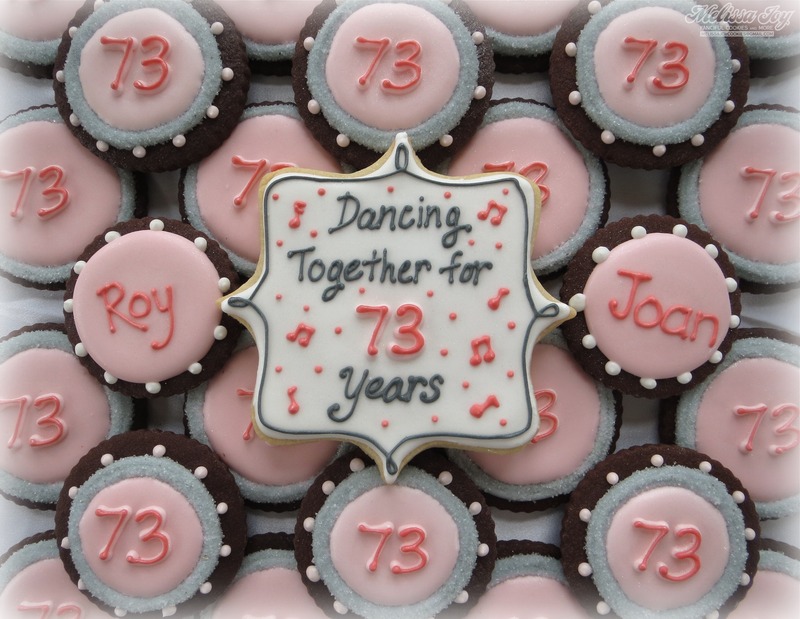 I made a ton of cookies for my grandparents, and the residents in their building to celebrate their anniversary, and a shout out goes to my Sissy for the ballroom dance idea. 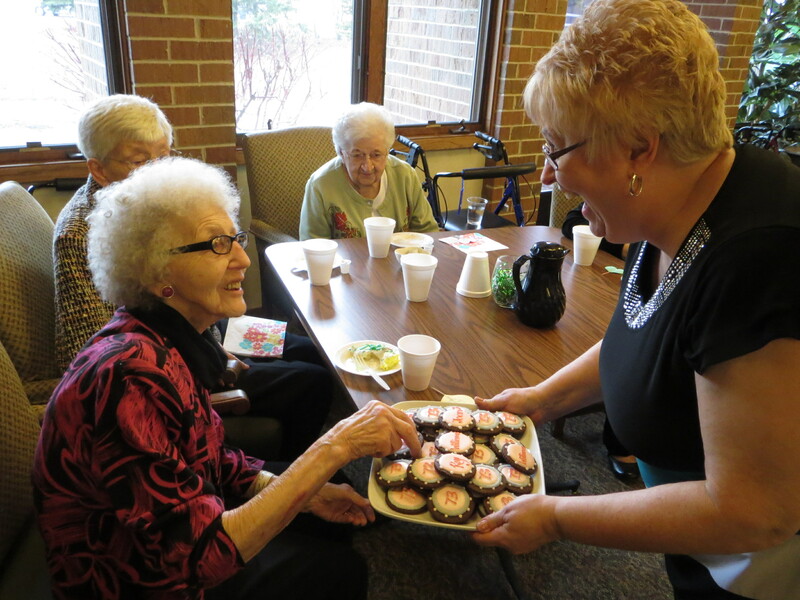 I was so excited to share with them what I had created. Each one was baked and frosted while reminiscing of times spent together. 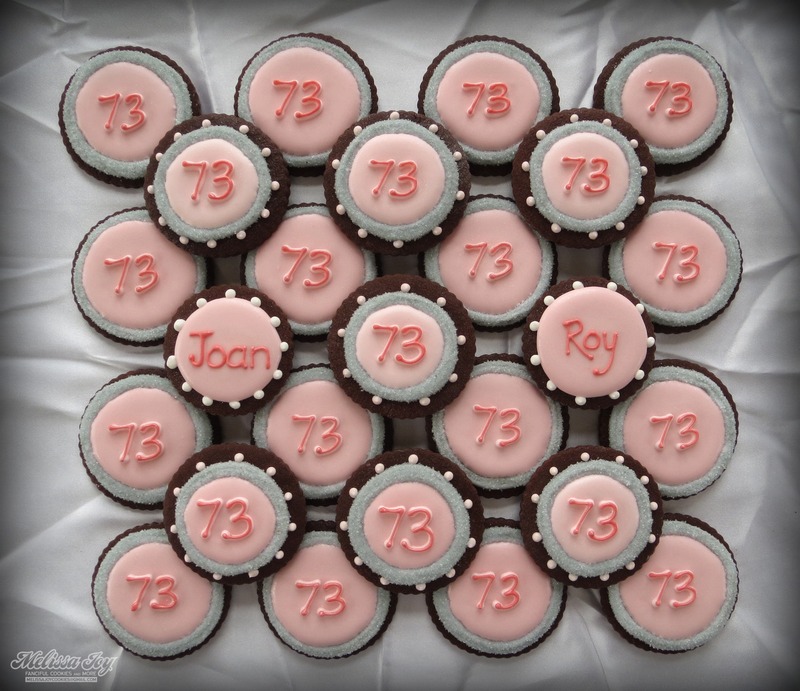 Happy 73rd Anniversary, Nana & Grandpa! I love you as hard as the sidewalk. 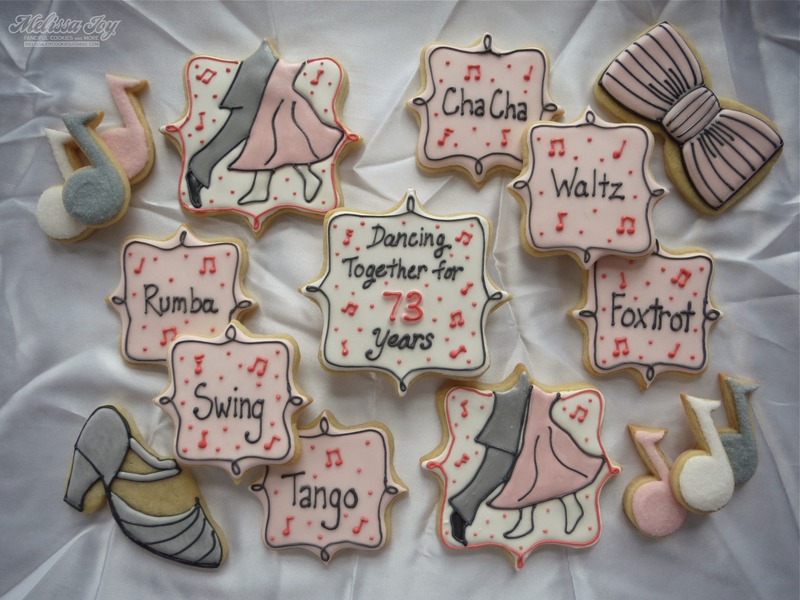 This entry was posted in Anniversary Cookies, For Fun Cookies, Wedding Cookies and tagged anniversaries, anniversary cookies, big band music, dance cookies, dancing, grandparents, russ morgan orchestra, wedded bliss, wedding, wedding cookies. Bookmark the permalink. ← Kindness. Pass it on. Thanks, Katy! It was such fun! I loved reading this! What a great wonderful bunch of memories! I can see your face in your Nana’s face on her wedding day! I guess dancing was in your blood. 🙂 What a wonderful day it must have been for everyone and you made it so special for them. Probably you and Chuck WILL make it to 99 an 101! All those organic foods and vitamins! Good luck! Thanks for sharing a glimpse of your family. Where is the LOVE button?!?! What a lovely story and beautiful cookies, you made me cry! Aw, Jen. Love YOU! Thanks for commenting! 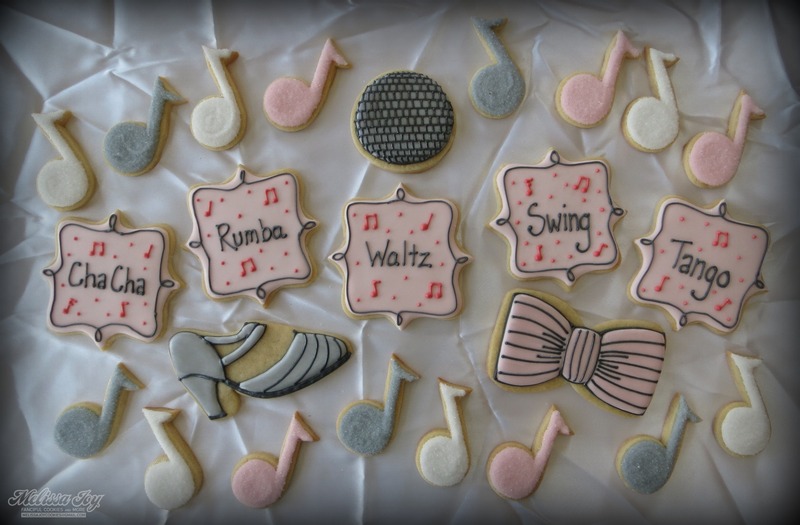 Absolutely lovely cookie set! 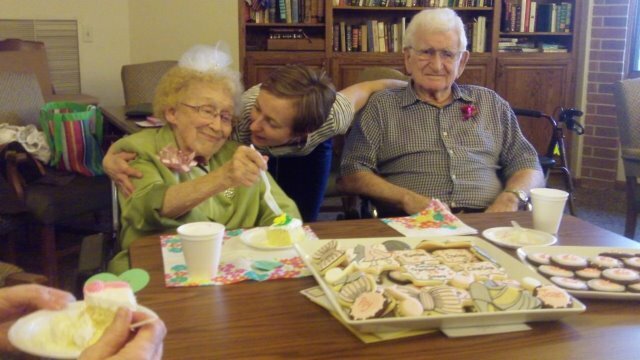 Your grandparents look spunky – I’ll bet they are a lot of fun to be around!